How Does ACT Test Prep Boost your Score? High school students spend about 5500 hours in class and 1500 hours on extracurricular activities. These two categories reflect 50% and 25% of the college admission picture. The other 25% of a student's application is the ACT exam. The ACT is a standardized test used to measure the success of the student with high school academics and gauge him or her for admission to college. As little as 20 hours of ACT test prep instruction can dramatically improve this quarter of a college application. Here are some of the ways that ACT test prep tutors and classes can help your child study for the ACT and boost their score. Each person is unique and learns best under unique conditions. A tutor or class instructor has the experience to not only identify the teaching approach best suited to your child, but also adopt the right teaching methods and strategies in response to how your child learns. An engaged student is someone who is both more willing to learn and more likely to capture the material. Confidence ensures that your child will not be stressed out over the ACT and lose points due to anxiety. It can be instilled and built up through a number of means, including repetitve practice and increased familiarity with the ACT exam. Nothing prepares students better than practice - better yet, practice coupled with coaching. Although motivation is vital, it is not enough without the right structure. An ACT test prep instructor can help your child learn the best study methods and set the right schedule to take advantage of those methods. Similarly, a tutor can also help your child stick to the schedule designed specifically for their set of stregnths and weaknesses. One of the most important lessons that people often overlook is that memorization is not as useful as genuine comprehension of the material. Understanding the material means being able to use the same principles under all conditions, for example someone who relies on memorization can become flustered if something unfamiliar appears on the test. ACT prep tutors and class instructors can help your child succeed by instilling the principles behind academic problems and clear up any remaining confusion through personal attention. 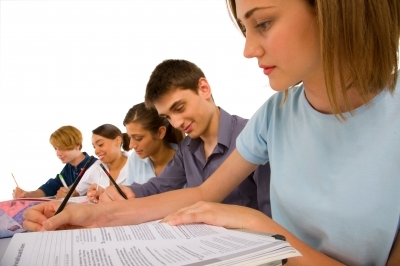 ACT scores are critical college admissions, it is important that your child scores well. ACT tutors and classes can tailor their efforts to capture student interest, bolster their confidence, direct their confidence to the right ends, and do their best to ensure that the students understand the material.